ocn’s Special Affairs Tean TEN which rewrites the history of criminal investigation drama conducted its final shooting in early January 2012. 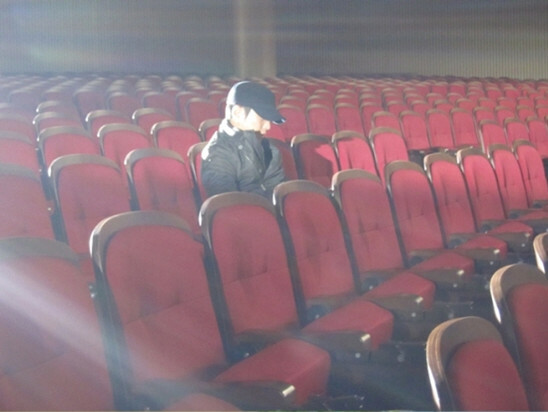 The scene shot on the day is the final scene of Joo Sang Wook in Special Affairs Team TEN, where Yeo Ji Hoon is sitting alone at the audience seat of a concert, missing his lover. TV series Special Affairs Team TEN ranked first in ratings continuously for 8 weeks among the cable dramas broadcast at the same time, progressing towards the success. Which, through this drama, Joo Sang Wook is creating an all new image with extraordinary charisma. On the last day of filming, after completing the shooting, he received the flowers and praises from the production crews, successfully completed the drama. 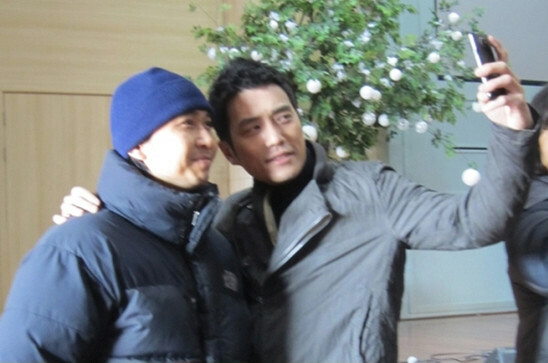 After shooting, Joo Sang Wook, director Lee Seung Yeong and other staffs paid tribute to each other with greeting of "Excuse me, you must be very tired," and etc, and was busy to pose for photos. Joo Sang Wook often appears with the image of wise and straight "Mr. Manager" in many films, but in this drama he is using the strong charismatic expression of eyes to conquer the audience, playing the lead locomotive role that contributed to the success of Special Affairs Team TEN. In the Special Affairs Team TEN, the character of Yeo Ji Hoon played by Joo Sang Wook is described as "Head of South Korea's Horatio," "Rediscovery of Joo Sang Wook," and other praises, Zhu Yu's re-discovery" so well received, emitting glory. After the end of last shooting, Joo Sang Wook said, "I experienced strong impact the first tiem I saw the script, so I chose this work. Now it's ended, leaving a lot of regrets, because it's the genre I challenged for the first tiem, so I am 100% satisfied of my acting, but also because of it's a new challenge to me, so I feel doubly excited at the moment. During the filming process, experienced many difficulties but it's repaid by been well be loved by everyone. Very grateful to the audience." The drama Special Affairs Team TEN that opens up a new model of investigation drama in Korea and achieves great success ends at midnight of January 13th, 2012.